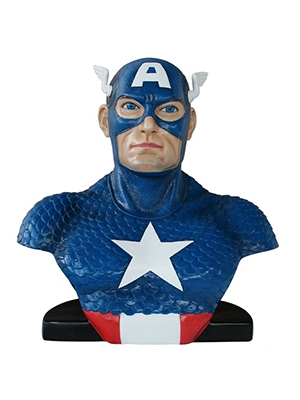 American Superhero Bust. Made of fiberglass resin. Dimensions: 24"W. x 26"H. X 12"D.